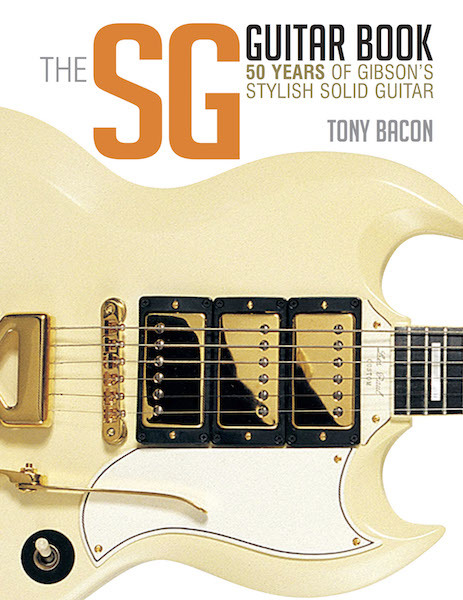 I’ve written quite a few books about Les Pauls, so why not one about SGs? Answer: here it is. Curious, really, how overlooked the SG can be in some quarters. What a great design! It was supposed to replace the original single-cutaway Les Pauls, at least in Gibson’s view during the early 60s. Presumably they’re quite pleased these days that the result was two classics instead of one. Gibson described the SG as an “ultra thin, hand contoured, double cutaway body”. The modernistic mix of bevels and points and angles was a radical departure, and I’ve told the story here of all the SG models that followed and the success of this sometimes overlooked and underrated guitar. There are interviews with and stories about Gibson personnel through the years and all the major SG players, including Pete Townshend, Frank Zappa, Tony Iommi, Eric Clapton, Angus Young, George Harrison, Tony McPhee, Barry Melton, and Derek Trucks. If you click on the link here you’ll find an extract from the interview I did for the book with Tony Iommi. I’ve covered all the classic Standards, Specials, Juniors, double-necks, Customs, and TVs, and also the lesser-known SGs, such as the Tributes, the Deluxe, the Supreme, and the Diablo, as well as related guitars like the Melody Maker and signature models for guitarists from Robby Krieger to Jimmy Page. The reference section alone should keep SG trainspotters happy for months.